Just like the aliens in The War of the Worlds, the first shipment of BMW i3 electric vehicles landed in New Jersey, though at a shipping dock rather than Grover's Mill. 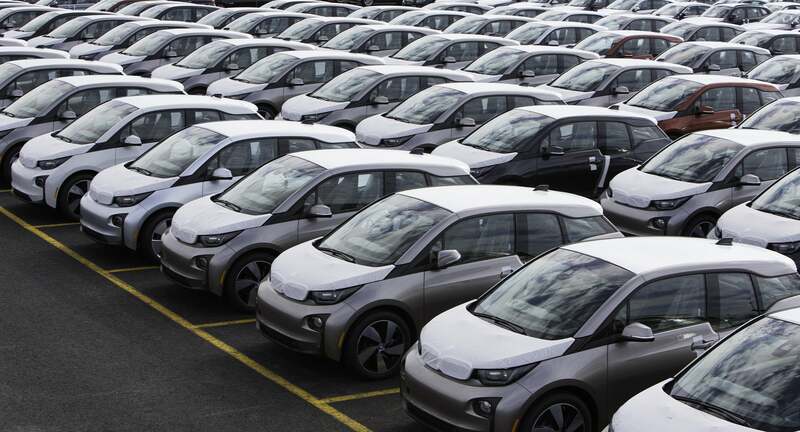 The BMW i3 invasion force, landing in New Jersey. The first delivery, however, went to Boston resident Charles Rabie, a professor at Tufts University. 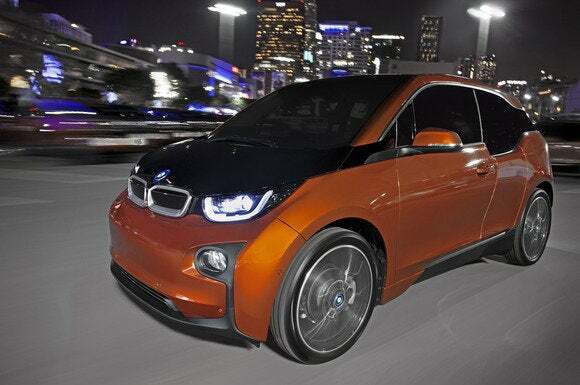 BMW’s i3 has made headlines since it was first unveiled at the New York Auto Show in 2013, if for no other reason than it doesn’t look like any other BMW you’ve ever seen. Look at it. Some might call it a bit gawky, or even geeky, but in an earth-friendly sort of way. Like it really should have landed in Brooklyn, wearing a plaid shirt, a wool cap, and chunky eyeglasses. The BMW i3's distinctive—okay, geeky—look is part of its identity as a vehicle built from the ground-up to be all-electric. Built from the ground up to be an EV that’s both efficient and fun to drive, it uses light, strong carbon-fiber material throughout much of its chassis. It has a 170-horsepower electric motor with 184 lb-ft of torque, giving it a decent amount of pep in our brief driving time with it. Its 22kWh lithium-ion battery has a stated range of 80 to 100 miles. Without the range extender, the BMW i3 and the Mercedes-Benz B-Class Electric Drive have a similar range (the B-Class is spec’d conservatively at 85 miles’ range), but the B-Class Electric Drive is a bigger and more conventional-looking car—if you’d rather not stand out as much. In any case, the arrival of the i3 marks a new stage in the EV market, with more choices that are neither too quirky nor too dreary to drive. We look forward to giving it a spin ourselves. This story, "First BMW i3 electric vehicle in U.S. goes to professor in Boston" was originally published by TechHive.